January being prime time for self-improvement, many of us naturally gravitate towards learning something new. Maybe we start a fun new hobby or enhance some existing skills. Whatever it is you want to do, I'll bet there's a book to help you do it. With that in mind, DK Canada has created a Start Something New Boutique, which includes a range of books on a fascinating array of topics, all at 30 percent off the regular price. It's the perfect time to buy a new book about yoga, cake decorating, exercise techniques or perhaps learning Italian (for that summer trip to Italy). I had trouble choosing a few books from the boutique because I really want them all! Except for the one about woodworking. I'm kind of a stereotypical girl, unfortunately. I did choose The Complete Running & Marathon Book, which, if you know me at all, is pretty funny. I am that girl who used to hang behind when her grade 8 class went out running, pretending to run only when the teacher glanced back at us. But I figure you can teach an old dog new tricks. It's not too late, right? 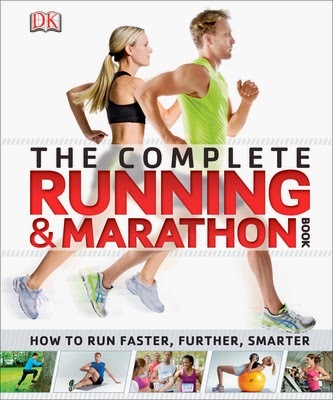 This book caters to anyone with an interest in running, from beginners to those looking to improve or prepare for a marathon. 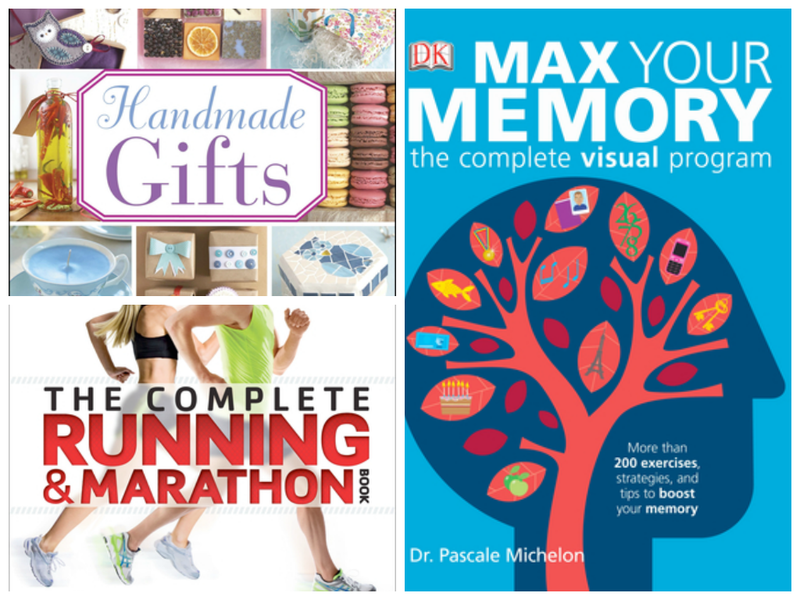 It includes detailed anatomical artworks, step-by-step sequences, advice on techniques and injury prevention and guidance on running psychology. This should have me running in no time...maybe. 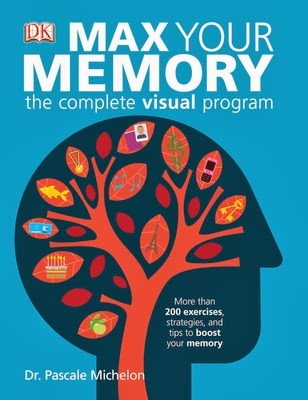 I'm also looking forward to doing the brain-boosting exercises in Max Your Memory: the complete visual program. My memory has never been good. I'm hard pressed to say what I had for dinner yesterday. I hope this book will help prevent my memory becoming even worse with age. It includes very cool exercises, strategies, tips and techniques to sharpen memory skills, and is fully illustrated with infographics. Self-assessments at the beginning of each chapter help you chart your progress. Max Your Memory is written by Dr. Pascale Michelon, a research scientist at Washington University. Another great choice for January is Handmade Gifts. Why for January? Not because of Valentine's Day, although handmade gifts are perfect for that special occasion focused on love. More because it would probably take me the whole year to make gifts for Christmas. 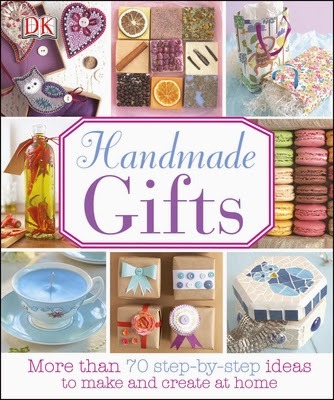 Containing more than 70 projects, from making candles to crocheting to paper-crafts and baking, Handmade Gifts clearly explains each gift using simple step-by-step images along with photographs of the finished items. I'd like to make a knotted scarf, a crocheted flower pin and a beaded necklace. But wait, those are all items that interest me. I guess we're meant to give these projects away! 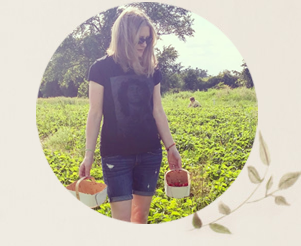 Enter to win a $250 DK shopping spree! Every February, DK Canada creates a boutique of their most popular books as selected by readers. Throughout January you can submit your favourite DK book of all-time and be entered into a draw for a $250 DK shopping spree! In addition, the top 20 readers' selections will be offered at 30%. Enter until January 30th. What's your favourite DK book? *I received books for review purposes. All opinions are authentic and my own. I decided to learn something new this year, though it depends on if I win an eBay auction :P My daughter said she wanted to learn electric guitar (she's 6) so we took her to a proper shop where the owner recommend she start on a half size acoustic as the electric was too heavy for her. So I thought why not learn electric myself? I dabbled with acoustic many years ago and now I figure I'm not getting any younger so why not live out my electric guitar hero dreams! I so need that Maxing your Memory book, I feel like it is slipping away every day! Happy Friday Jo have a wonderful week-end. It's frightening isn't it Pia? 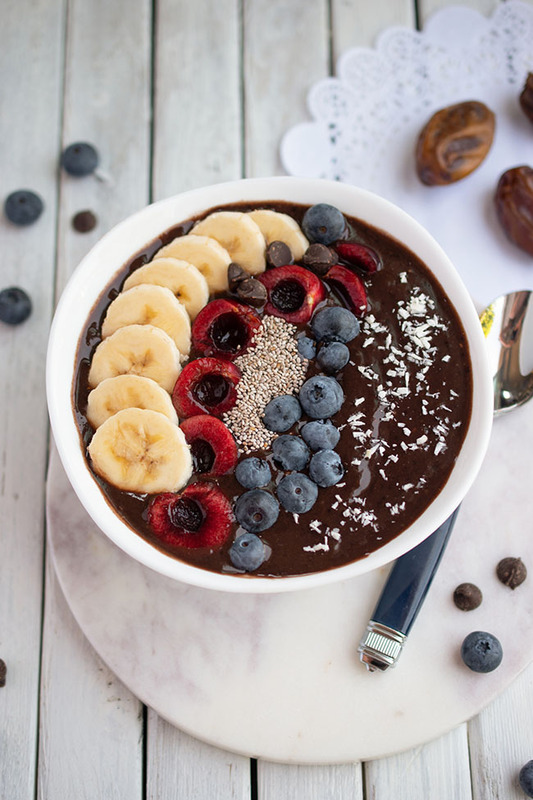 How exciting that you're (maybe) taking up running! ;) I am a former obsessed runner...sidelined by injuries several years ago. I need to get back into it -- best stress relief in the world!